© 2015 852 Films Limited Fox International Channels All Rights Reserved. Ng Kau Sau (aka. Sau) is a badminton champion who was permanently barred from the badminton world due to the violent incident she caused during one of the games. One night a mysterious shuttlecock-shaped object catches Sau's eye. Immediately after, she meets four corrupt men who have a secret badminton circle in an empty old building. As Sau watches those pitiful men trying their best, her long-forgotten passion for badminton gradually returns. 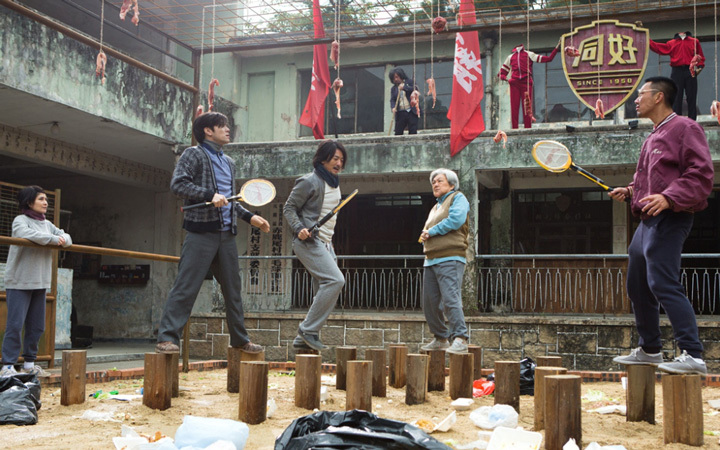 Hilarious like "Shaolin Soccer," an extremely thrilling badminton comedy is out at last! Derek Kwok pleased kung-fu fans with "Gallants" (2010) and brought himself worldwide fame after co-directing "Journey to the West: Conquering the Demons" with Chow Sing-Chi. Kwok teamed up with Henri Wong in "Full Strike" starring Ekin Cheng who gained much popularity with "The Storm Riders" and Jossie Ho as the badminton coach.